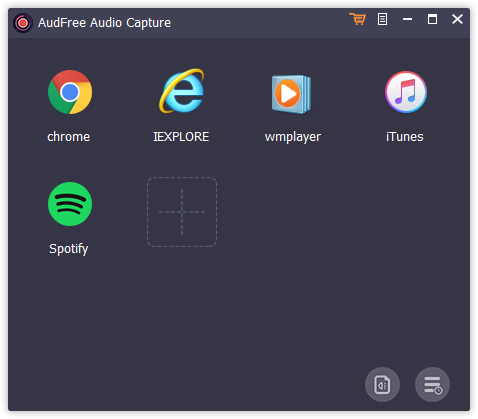 AudFree Audio Capture is a one-stop streaming audio recorder to record any sound, like music streams, online radio, in-game sound as MP3 in high quality. What a horrible program. 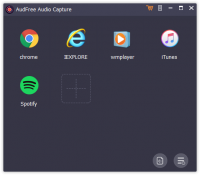 You have to close out of your browser or player, launch AudAudio capture, relaunch your browser, than load back up whatever you want to record. How overly complicated and unnecessary. Just launch and record. Boom. Even clicking on it’s list of programs to switch to recording from it would work. But nope. The creators chose to make life difficult. Works well. You open the program, click on browser or player, and whatever you clicked on opens. Choose what you want to record in the browser or player, and it records beautifully. You also have the option to trim the clip in the edit menu. Once you save your track or clip, exit the program, and the browser or player closes with it. Not sure what the concerns above are. It’s basic but does what it says it will do.